Starting today, I will be writing a series of articles, which gives a sense of perspective for the average Joe interviewee, helping him understand what an interviewer looks for during a CAT interview. In this article, we start at the basics – knowing oneself. An interview is an intensely personal experience and the first thing to ace, is to know yourself thoroughly. Remember that the interview is all about you, your experiences, your dreams, your personality and your unique perspective. The interviewer is there, trying to gauge you as a person and it is up to you to present your best side to him. Now what does that mean in real terms? I have taken many interviews myself, in corporate life and in other fields and a CAT interview is no different. One thing that I always look for in an interview is truthfulness. Too often, I come across candidates who are trying to second-guess me. They are trying to tell me a story, which they think I would like to hear. It is very easy to catch hold of such candidates. They have brushed up on jargons, they know all the catchwords, and they are glib talkers. The overall feeling that I get when I interview such candidates is that of a formulaic Bollywood script – it has all the right sounds, the right kind of polish but in the end does not sound quite right. There is an inherent shallowness to these interviews, which almost always ends in a disaster. One example where I see a lot many interviewees faking it is in hobbies. There are too many of them who have worked in some sort of an NGO or have put in some foreign language, which they claim to know for the sole purpose of the interview. Remember that the person on the other side of the table wants to see the real you, and has been doing these kind of interviews for years. Therefore, it is very easy for him/her to catch on. During a recent interview with an IIM candidate, the first thing we noticed in his profile was that he spoke Spanish, and in the initial phase of the interview, one of the interviewers spoke to him in Spanish. Turned out he had taken 2 classes 3 years back and that he was not very comfortable understanding, leave alone speaking the language. As an interviewer, these experiences really put you off. You should be very careful of what information you give in your profile because every piece of info is scrutinized minutely and is checked for validity. I remember one candidate who had written about women empowerment and startups in his profile and did not even remember the name of a single startup founded by a woman. My point is that if you have written something, be sure that you at least have a rudimentary idea about the same. A good strategy is to leave something for the interviewer to remember you by. In common terms we call it the SPIKE. Be very sure where the spike in your profile lies. With scores of interviews taken every day, it is very difficult for the interviewer to differentiate between candidates and that is where the spike helps. Were you the Quizzer who met Amitabh Bachhan in KBC and managed to win XYZ lakhs? (This was my story). Alternatively, were you the guitarist of the college band who went to weekend classes as a teacher to help teach English to students from the socially backward classes? These are the kind of one-line descriptions about you, which help you separate yourself from the masses. Another thing to avoid during an interview is an unintended misconception. One candidate who we considered a shoo-in actually failed an IIM interview due to an avoidable error in judgement of the interviewers. He was from an eastern Indian metropolis and had gone for an interview in one of the premier IIMs from the same region. His name was similar to those from a state in Eastern India, which the interviewer also belonged. The candidate however was a North Indian. He had written that he “loved literature” in his profile, he meant English literature in which he was pretty well versed. One thing led to other and finally the interviewers started drilling him on the various nuances of Bengali literature from the Middle Ages, on which he had no clue. He failed to answer those questions. It was only later while discussing with me that he understood why he was being asked those questions but by that time his interview was already over and he had a ding. A single missed word in his profile had led to a brilliant candidate who had later gone on to become a Gold medalist from another well-known institute miss out on one of the premier IIMs. Before I end this piece, I would like to pass on a little piece of secret about how to know more about yourself. 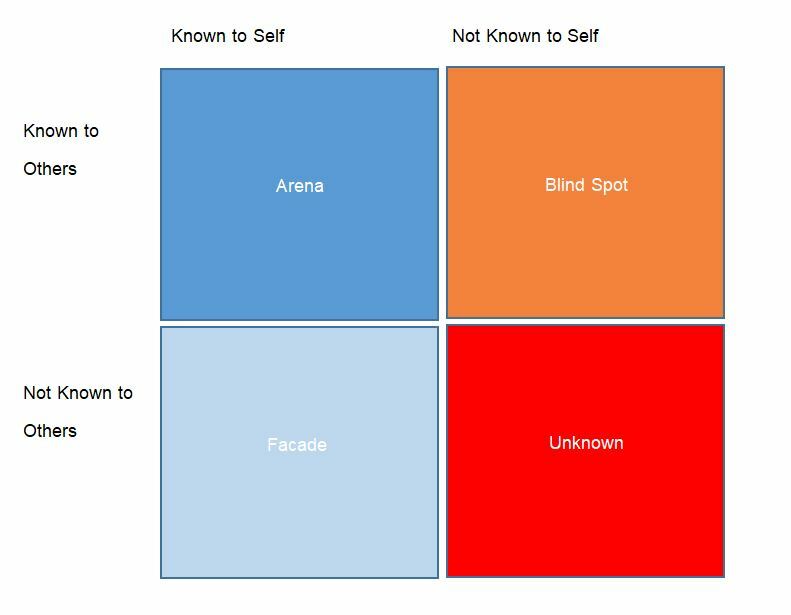 There is a technique that helps you develop a sense of understanding about yourself not only from your perspective but also from others perspective – Johari Window. The Johari Window helps you understand yourself better. It is most helpful in trying to answer questions where you are say told to describe yourself in five words or asked to enumerate your strengths and weaknesses. This is a task, which cannot be done in a silo. You have to either take help from multiple friends who know you well, or you can form a group among fellow CAT aspirants who have at least known for 6 months or more. Start by picking out adjectives, which you think describe yourself well, the more the better. At least 20 to 30 adjectives are needed and they should cover both your positive and negative aspects. Be very truthful to yourself and try to avoid thinking of qualities that you think describe an ideal IIM graduate. As mentioned, the interview is all about you, and the interviewers like a touch of personalization. Find the adjectives, which you have put in but the ones, which your friends have not. These are the ones which you have put in a facade for yourself to believe but which the others cannot see. You need to work on these. These might be your weaknesses as well since you believe these qualities exist in you but others do not notice them or these might be traits you deliberately hide from others. Finally, unknowns are traits, which might come out only in special circumstances. The more people you do this exercise with the more these traits would come out. It is essential that you be absolutely true to yourself while doing this exercise, as there is a natural tendency to be a crowd pleaser here. One false step and you might end up in a generic profile similar to the others with traits that you as a group believe that the interviewer is looking for in a successful IIM candidate. 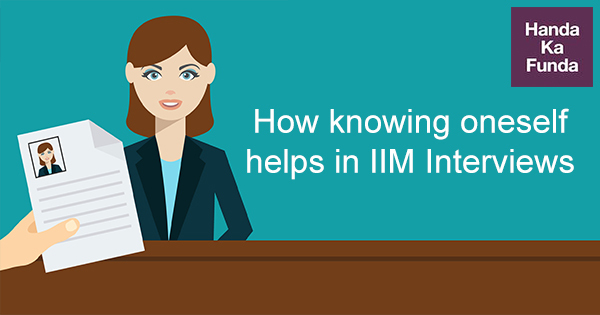 If you do this properly this will help you answer the following questions that are asked in almost every other IIM interview. The Johari window is a very effective technique which if used properly can give you an edge in an IIM interview. Even mentioning this technique might help them get more interested in you and act as the aforementioned spike, unless of course every aspirant reading this article starts quoting the Johari Window. So, I guess that is all I have for today folks. Hope to be back with more bits of information about the IIM interview in the next article on this series. Till then …. Subrata Dass is a graduate and Gold Medalist from IIM Calcutta. He currently works at a multinational pharmaceutical company and sits on the interview panel for IIM Calcutta interviews. He has 11+ years of work-ex. I have some queries in hobby section. I am an electrical engineer and i have hobby of designing and making electronics projects. But some one told me that a hobby should be beside academic curriculum. is this true?